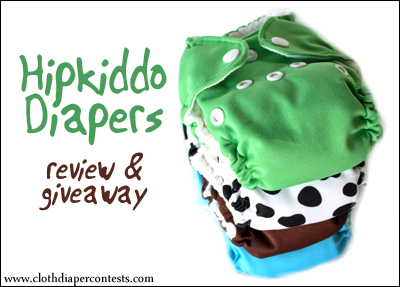 I've worked with Hipkiddo before, and it's no secret that I absolutely love their diapers. 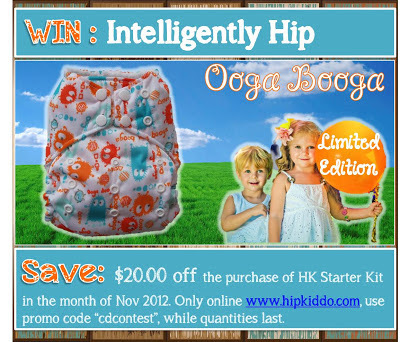 This month I'm excited to partner with them as they celebrate their two year business anniversary and introduce a Limited Edition Ooga Booga Intelligently Hip pocket diaper which will also be up for giveaway at the end of this review! Aside from their new "Intelligently Hip" pocket diapers, Hipkiddo also introduced preemie/newborn WeeBaby Hip all-in-one diapers this past year, and I was fortunate enough to try a bundle of them with our newborn baby boy who just joined our family this past fall. 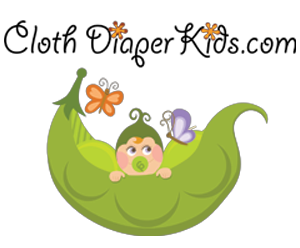 WeeBaby Hip newborn diapers are an all-in-one diaper that has a huge amount of positives when you are cloth diapering a newborn. The diapers are compact and trim so you can easily pack a lot of them in a diaper bag or travel-sized wet bag (a must as we all know newborns go through a huge amount of diapers in the first few weeks!). Since they are an all-in-one, they also need no assembly or stuffing; they go straight from the laundry back into the diaper caddy (or straight from the dryer or clothesline right onto baby's bum)--a nice chore-free option for those red-eye, late night diaper changes! Like any AIOs, they do have a couple of drawbacks, though. A thicker absorbent core means a longer drying time, especially if air-drying. As well, you'll want to be sure to change baby more frequently than if using a pocket or disposable diaper since a saturated core may cause a bit of dampness to leak through a leghole or pressure point (I had a few leaks with my supersoaker son who can pee through nearly any diaper configuration I put him in these days!). As long as they did not get oversaturated, though, these diapers had terrific wicking ability and kept baby's bum nice and dry with their super soft and cushy polar fleece inner lining. An added feature that I absolutely loved with these WeeBaby Hip diapers is the option to snap down the front of the diaper on the tummy to allow room for the umbilical cord stump to be unobstructed and have no friction against it. 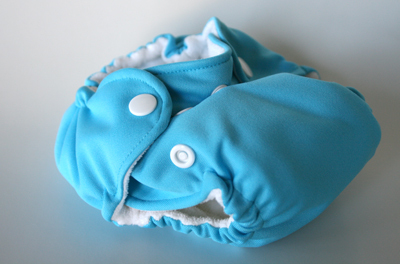 Many other cloth diapers and covers have much too high of a rise to allow this, and, as a result, many friends of mine have had to use "swaddlers" style disposable diapers for the first few weeks until their baby's cord stump has fallen off. 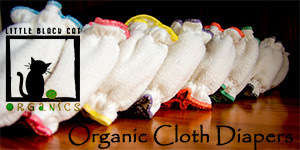 These newborn cloth diapers, however, provide a nice alternative to having to do the disposable route and will still be worth the money to buy a set especially if you have a smaller sized baby or a preemie. These diapers should fit most babies from 4-14lbs, although I did find the fit started to decline a bit when my chunky son hit about 11lbs. At that point, we were better off switching to regular OS pocket diapers to accomodate a rapidly-growing tummy and thighs. These WeeBaby Hip diapers are available in six darling PUL colors and prints, four of which I had the luxury of trying out. I must confess, when I first opened the envelope and saw them in there, I shed a tear or two at just how cute and itty bitty they were. They also garnered plenty of "awwwwwwws!" when my teeny newborn was able to show them off to his new admirers as well. I think these would make a fantastic gift for a new mom-to-be, especially if you knew in advance that she was predicted to have a smaller sized baby (or had had a preemie). 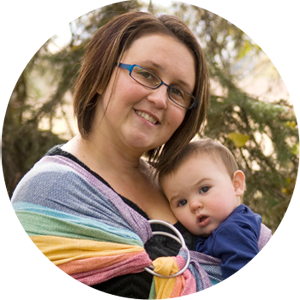 Once again, I am thrilled to have had the opportunity to try out another awesome product by Hipkiddo, a family-owned company from Maple Ridge, British Columbia. I'm also super excited to partner with them and offer the giveaway of their limited print Intelligently Hip diaper below, as well as to mention an anniversary special for the month of November: if you purchase a cloth diaper starting kit this month, you'll get $20 off if you mention the code "cdcontests" (limit 1 per household; while quantities last). I like the Ooga Booga print. It's fun and colorful.